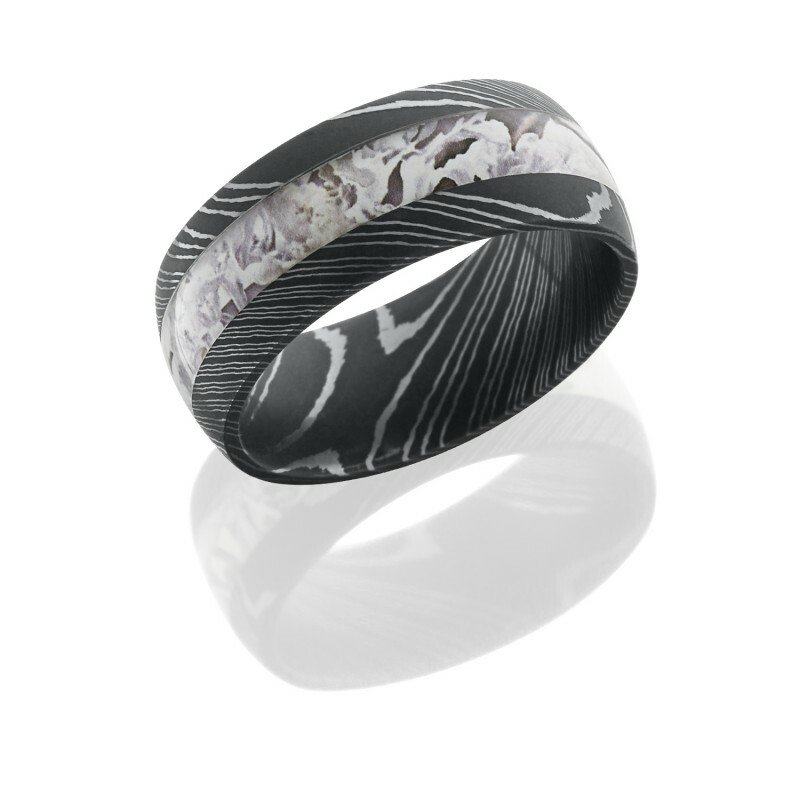 Damascus Steel with King’s Snow Camo inlay domed comfort fit band. 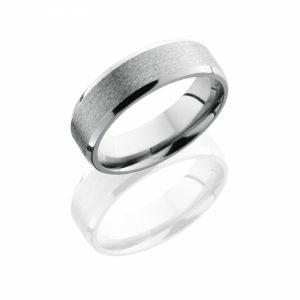 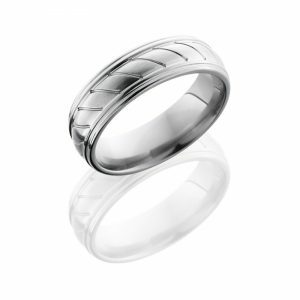 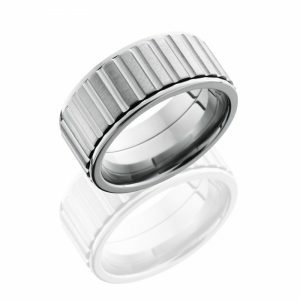 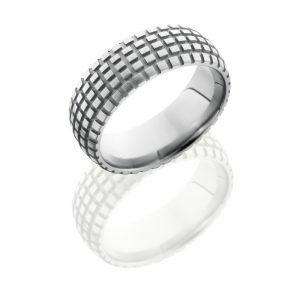 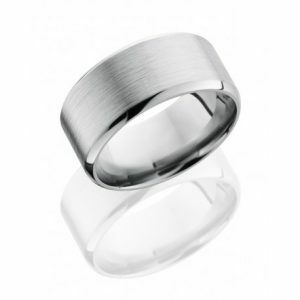 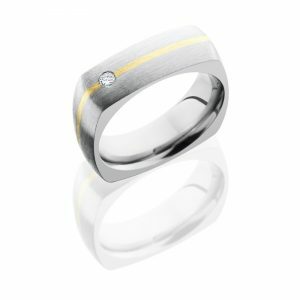 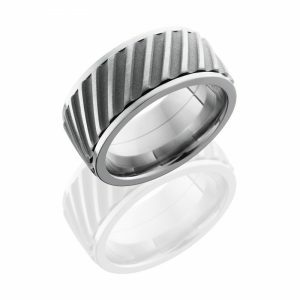 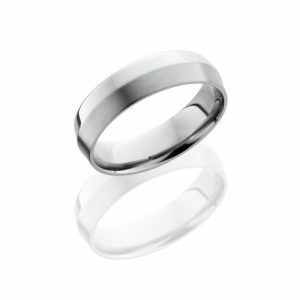 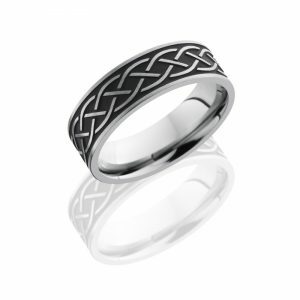 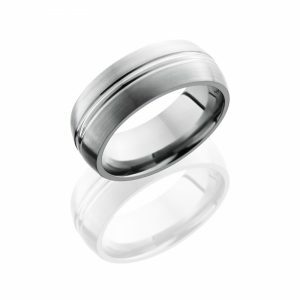 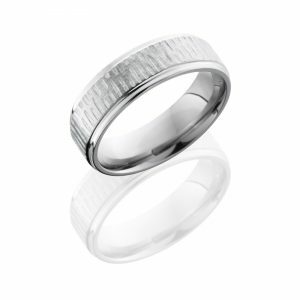 The ring is 9mm wide with a King’s Snow Camo inlay (4mm wide) center stripe, which runs the circumference of the ring. 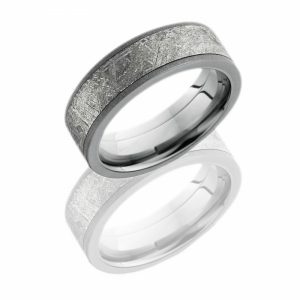 Also, the Damascus Steel is acid washed flanking the King’s Snow Camo inlay, a flat acid washed edge, and heavy comfort fit.